The left coast and the Pacific Ocean offer families several West Coast beach vacation ideas. 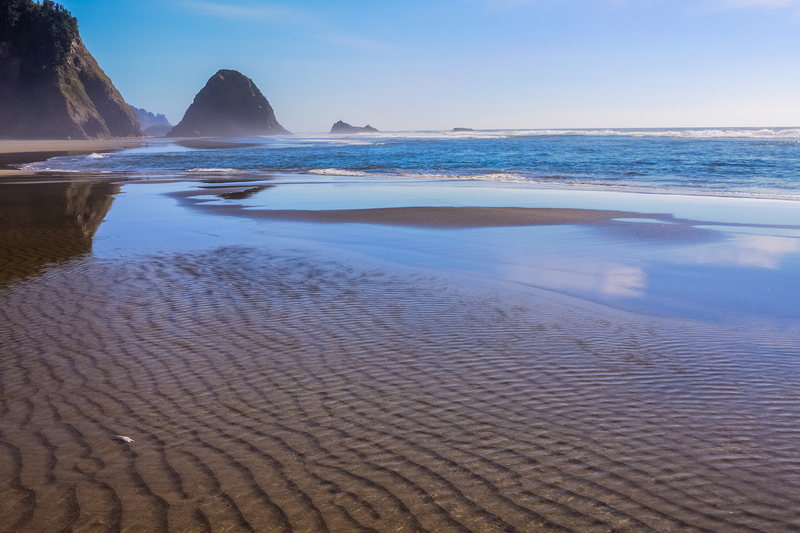 California may have the warmer beach rental options but Oregon and Washington State offer excellent West Coast vacations, as well. Here are our top picks for best West Coast beach rental destinations. Kids can dig for clams on the Pacific Ocean beach. Mini-golf, go-karts, biking, fishing, hiking and horseback riding are all fun things for the family to do in Ocean Shores. One- and two-bedroom condominiums are available to rent and many come with a pool or fireplace. Small cottages or cabins are also available beach rentals and many are oceanfront. Westport has one- and two-bedroom condo units and one through four bedroom homes or cottages are offered, some with a fireplace, rooftop deck or elevator access. Ocean views are also available from condo rentals and vacation homes. Westport has miles of public beaches, a small aquarium, a boardwalk for sightseeing (no amusements) and plenty of fishing or bird watching spots. Don"t forget your boogie boards either -- the kids will love catching the ocean waves. The small town of Port Townsend offers beach access to the public through its national parks, with views of mountain peaks and plenty of wildlife, hiking, kayaking, fishing and boating opportunities. Small bungalows and cottages, within walking distance to the town, are available for rent in Port Townsend. Larger families may enjoy a beach house rental on Vashon Island, where visitors will find luxury waterfront homes, carriage houses and beach cabins. Many of these multi-room vacation rentals offer a pool or boat dock. A ferry, floatplane or boat is needed to get to the island, which is the size of Manhattan and west of Seattle, as there is no bridge connection to the mainland. Bicycling on Vashon is a big deal, so visitors are welcome to bring bikes on the ferry and there are plenty of bike racks around town. Vehicles are also permitted on the ferry; however, a reservation is needed. Look for kites in the sky and you"ll find Long Beach, where the Columbia River meets the Pacific Ocean. The weeklong Washington State International Kite Festival and a sand sculpture competition take place here. Many beach and ocean view homes are available on Long Beach in varying sizes and price points. Some homes have a hot tub or fireplace and one-, two- or three-bedroom condos can also be found. Families will love a West Coast vacation in Seaside, Oregon. Amusements, arcade games, an old-fashioned carousel and mini-golf will entertain the whole family. But kids will also love to feed the seals at the aquarium, walk the oceanfront promenade, kayak, paddleboard, hike or surf. The vacation rentals are mostly single-family houses or condos. Studios through six-bedroom beach rentals are offered and many have an ocean view. A fire pit, pool and beach access are also available with some rental properties. Beach house rentals in Oceanside will most likely have a view of Three Arch Rocks, which are large rock islands. Families will love to explore the beach tunnels and caves, but only during low tides. Single-family homes, with one- to six-bedrooms are a family"s best rental option at Oceanside, and many have a hot tub or fireplace. Manzanita offers 7 miles of flat walking beach and plenty of biking or surfing opportunities. Families can visit a state park, hike or try horseback riding. The beach rentals at Manzanita offer one- to six-bedroom houses with a pool, hot tub or fireplace. Ocean or mountain views are available with these rentals, which allow visitors to be steps or a few blocks away from the beach. Small cottages and houses are available to rent at Arch Cape, many of which have ocean views. Some of the multi-bedroom homes have a hot tub, fire pit and private access to the beach. Considered semi-remote, Arch Cape is filled with hiking trails. Hug Point State Recreations Site is located here and is a fun place to picnic or hike with the whole family. Coos Bay, the largest Oregon Coast community, features West Coast tours, sea lion and whale watching, clamming, crabbing and fishing. Coos Bay is more of a commercial and active area and offers families plenty of things to do. Adventurous families will want to rent ATVs and ride along the sandy dunes. Houses and cottages with bay views are available for rent on Coos Bay and most range in size from one- to three-bedrooms, with a hot tub, fireplace or pool. When you think of West Coast vacation ideas, the sunny California beaches are often what come to mind. 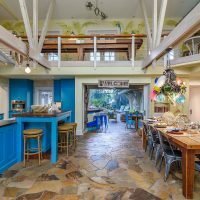 There are numerous family vacation rental destinations up and down the Golden State. Families will love Coronado for it"s wide 1.5 mile beach with the iconic Hotel del Coronado as a backdrop and the plethora of things to do. Families can have fun with a Segway, Waverunner or kayak. Rent a bike or surrey and tour the town, or take a Catamaran ride and tour the waters. One-, two- and three-bedroom condos are available for rent on Coronado, along with one to six-bedroom homes, some with pools and only blocks to the beach. Prices range from affordable to expensive. Nearby San Diego also has many vacation rental options, close to the beach or the city, allowing families the option of walking to the San Diego Zoo or the beach instead. Views of Mission Bay or the ocean are available and a pool or hot tub are offered in most of the multi-bedroom condo, cottage or house rentals. Newport Beach offers surfing, kayaking and paddleboarding. There are two piers to stroll, a Ferris wheel and arcade games. Plus, the newest water adventure Jetpack America, which has people flying and hovering high above the water, is now available in Newport Beach. Condos, houses and small cottages with multiple bedrooms, a pool and views of the ocean are perfect for families to rent. Small, yet affordable bungalows are also available. 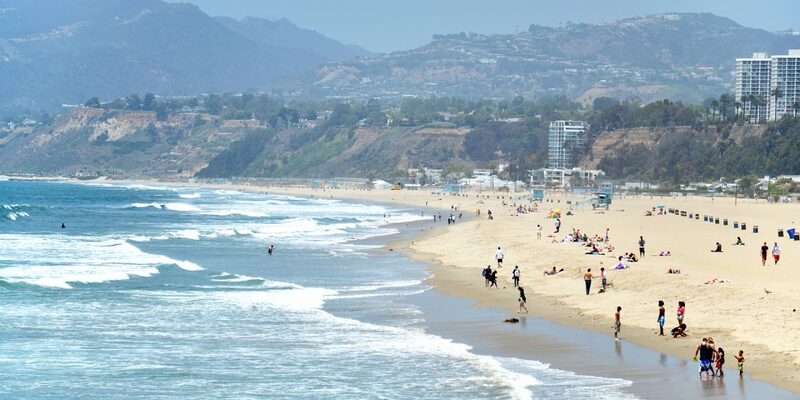 The beach at Santa Monica is wide and offers many activities for families including, surfing, beach volleyball and paddleboarding. 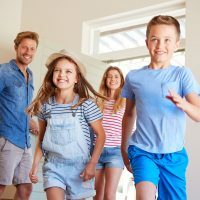 Families can"t miss The Strand, a 26-mile paved bike trail along the beach, or the iconic Santa Monica pier with its Ferris wheel, aquarium, amusement rides, games, street performers and plenty of eateries. More houses are available for rent over condos and cottages and a smaller number of the properties have pools. Many of the rental properties are two bedrooms. However, larger five- or six-bedroom houses are available, but are further from the beach. For kids who love to skateboard, Santa Cruz is the place to visit, with several skate parks. The beach boardwalk has amusements, games and events. Kids can board the Roaring Camp railroad stream trains, hike among the redwoods or play at the beach. Houses are mostly available for rent in Santa Cruz and many have ocean views or are steps to the beach. San Luis Obispo, located a few miles from the beach, offers rugged shorelines and great hiking opportunities. Kids will love exploring the Creek Walk or if they are adventurous try zip-lining at Lago Adventure Park. One- to four- bedroom houses with mountain or garden views are available here and only a few offer pools. Luxury ranch or vineyard houses are also available. Santa Barbara has many condo, cottage and house options with up to four bedrooms and a pool or hot tub. Families can walk to the beach or the center of town, where shops and restaurants can be found. Ride bikes along the beachfront path, ride the carousel, visit the Santa Barbara Zoo or play at the beach.